I’ve been hearing several laments about 2016, about goals which remain unattainable, expectations gone awry, and sadness for people we have lost this year. 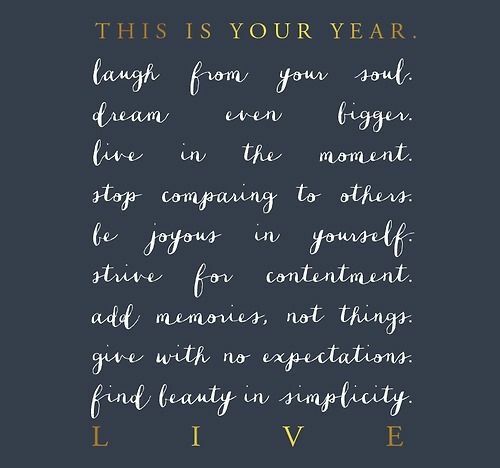 Yesterday, I ran across this artful coaching tacked onto one of my Pinterest boards, and thought it was worth sharing, especially in light of our current value study of ‘IMI OLA: This year remains in your hands, and it is far from over. designing the form your life will take. giving you the clear understanding that you have the power to create your own destiny. The value of ‘Imi ola seeks life at its very best. I love that this artful poster coaches us to “strive for contentment.” Good advice. —page 235 in Managing with Aloha, Second Edition, within Chapter 18 on PONO. Give yourself a break this Thanksgiving week. It’s okay to be happy with a calm life. Really.